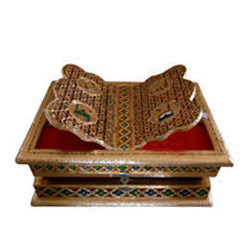 Pioneers in the industry, we offer rehal box / book stand from India. Material Used Natural Wood, Ply Wood, Brass, Jewel. Color Meena.